There are many facilities that use an open MRI scanner to comfort patients with claustrophobia. However, the thought of being scanned can still cause feelings of anxiety. The best way to get through any medical procedure is to prepare for it in advance. This way, you have an idea of what to expect during your procedure. Use the following tips to prepare for your open MRI scan. If you do not want to wear a hospital gown, be sure to wear the proper clothing during your scan. You want to avoid clothing with metal pieces such as buttons and zippers. You also need to wear loose-fitting clothing to avoid blurry pictures and a second procedure. Loose-fitting clothing also keeps you comfortable as you lie on the exam table. Remember to leave the metallic jewelry, cosmetics, and other accessories at home. It is important to talk to your physician about your metal implants before your exam. You are going to be scanned for implants such as metal fillings, plates, and pacemakers, but you want to make sure your physician is aware of every implant. The MRI machine features a strong magnet that may clash with your implants, so your physician may need to schedule another procedure instead of an MRI. A little support can go a long way during a medical procedure, so talk to your physician about your support options for your MRI. There are many facilities that allow patients to bring a friend to sit with them during the procedure. 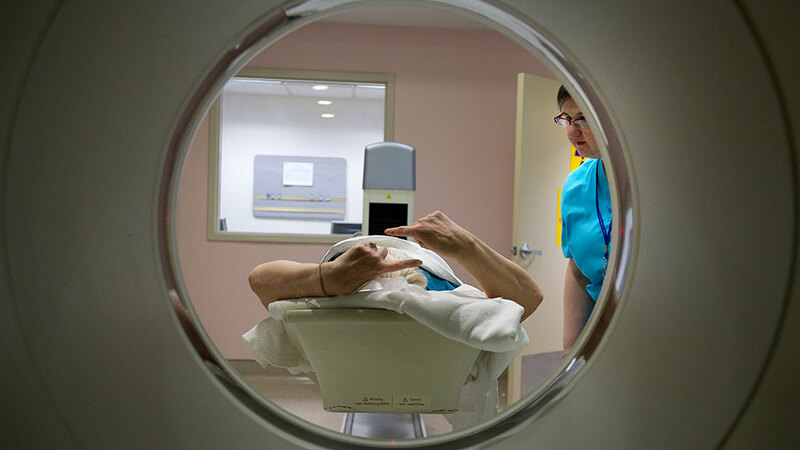 Your facility may even include a radio system for listening to music during your scan. Do not be afraid to ask questions or address concerns about your open MRI scan. It is easier to prepare when you learn every detail of the procedure.